The bookings for Spicejet January 16, 2015 onwards are not visible for Belagavi. Schedule is normal upto Jan 15, but from Jan 16 onwards no Flights are visible coming in and flying out of Belagavi. From Jan 16, however the bookings for Hubballi to Bengaluru and Mumbai have commenced. @allaboutbelgaum : Currently, we r not operating flights from Belgaum – Bengaluru from 16th Jan’15 onward. Stay tuned with us for updates. So does this mean, Belagavi will have no take offs from January 16, 2015? Next articleTiger is dead; but who Killed it? I booked for 24th same msg got now hubli airpor re oopened hence bgm flights cancelled I believe. Yes, there is lots of confusion on that. Hubbali airport is not yet opened after rennovation. Now Belagum is also getting closed. 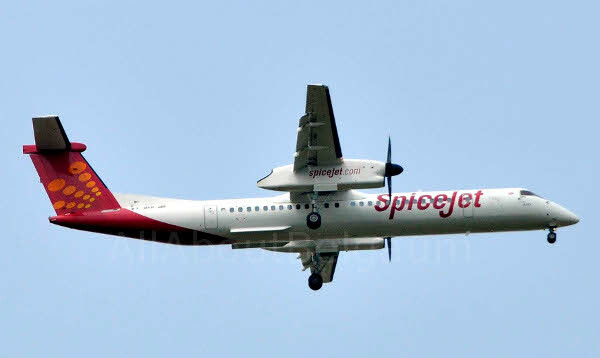 Mean while, if you try to book between Banglaore to Belgavi after Jan 16, you don’t get tickets but you can see the same flights from Hubballi..similarly if you check on the schedule page, it is ulta..hubbali don’t have flights while Belgaavi has…some one please talk to spice jet and confirm this.. This same thing happend with me when I booked my flight from Mumbai to Hubli in November but don’t worry with destination flight number also get change..
OMG …Does it mean both take off and landing are stopped in Belgaum after 16 Jan..I have ticket booked from Bangalore to Belgaum on 18 Jan and don’t see any updates on spicejet.com under cancelled flights list.